So your new custom home is nearly built and you’re just days away from closing on it and moving into it. Though you’re excited about moving into your new home, there is one more item you need to do with your general contractor before the closing. That is, conduct a final walk through inspection of the home. If you, or your bank, wait to the very last minute you may either not be closing on the date you planned on, or accepting the keys to a home that is not completely finished. And if you do accept the keys before the home is complete to your level of satisfaction you may be a long time waiting for it to do so. In fact, you may never see your general contractor again. So make sure you talk with your general contractor well in advance of your closing date to schedule a final walk through inspection, and that you’ve communicated to him that you will not go to closing until the walk through is done and the home is complete to your satisfaction. This way there will be no surprises for anyone just days before the closing. Summarized below is a checklist for conducting a final walk through inspection of a home. Be sure to have a paper and pencil with you when conducting your final walk through inspection so that you can write down any issues you find. Start by walking around the exterior of the home. Check the exterior of the home for any imperfections in the house siding and roofing. In particular, look for loose or missing house siding or shingles. Also, make sure that all screens are in the windows. 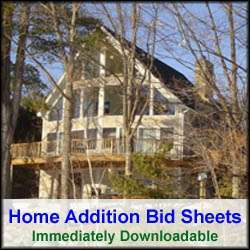 Use one of these home remodeling/ construction checklists and save time and money on your home construction project. If the home has gutters, make sure they are installed properly and are pitched towards the direction of the drain spouts. Check the foundation for any cracks and that any bulkhead doors to a basement are installed and working properly. Make sure all walkways, staircases and decks are complete. Check to make sure outside spigots are functional. Check that all electrical outlets operate and test the Ground Fault Circuit Interrupters. In addition, check that all outdoor lights turn on and off properly. 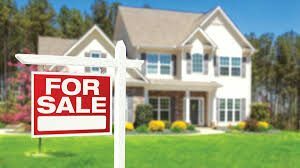 Next, check the yard to see if the finished area around the home is seeded with grass and meets what was described to be done for lawn in the original Purchase and Sales agreement. Also make sure any shrubs that were supposed to be installed were indeed done. Make sure to check if the species of shrubs planted are correct and located in the right places, per the original Purchase and Sales agreement and plans. If a lawn irrigation system was to be installed make sure it works properly and that you understand how to use it. Also, while checking the yard, make sure the grade of the landscaping is such that water will drain away from the foundation. The last thing you wanted is a flooded out basement. Lastly, relative to the outside of the home, make sure the driveway was installed properly and to your satisfaction. Now it is time to move on to the interior of the home. Make sure to bring an electrical outlet tester or some type of small appliance so that you can check all of the electrical outlets. Start the home inspection in the basement. Again, look for any foundation cracks and make sure there is no water in the basement. Also, make sure the basement has been thoroughly cleaned out and broom swept. In addition, make sure all of the electrical wiring and plumbing is neat and properly secured. Moreover, make sure any major beams are sitting squarely and flatly in foundation sockets. I have personally seen beams literally floating in foundation sockets due to the fact that the Lally columns were either placed too high or the foundation socket not put in the right location. Also check for cross bracing between basement ceiling joists. Make sure the HVAC system is fully operational and that you understand how to use it. Moving up to the main living areas of the home, check to see if the floors squeak by bouncing up and down on them. If they do, additional cross bracing in the basement may be required. Inspect all of the finished living area walls to make sure the paint is the color you wanted and that there are no marks on them. Also check for any cracks or nail pops in the drywall. Similarly, check the floors to see that the flooring has been installed to your requirements. If there are any ceramic tile floors make sure there are no cracks in the tiles. Next, check all electrical outlets and switches to make sure they work correctly. This is where you circuit tester or small appliance may come in handy. Check the kitchen to make sure all the kitchen appliances are what you expected and that they all operate. Also open and close all kitchen drawers and cabinets to make sure they work properly and that there are no loose hinges or other mechanical hardware. Test the GFCI outlets as well, if there are any in the kitchen. If there are none visible in the kitchen, make sure to look at the main circuit panel to see that the kitchen outlets are on a Ground Fault circuit breaker. When inspecting the bathrooms make sure all of the plumbing fixtures operate by turning on the faucet handles and flushing the toilet. Moreover, check the shower/tub and sink bowl for any cracks or damage. Also make sure the ceiling light/fan works. Test the GFCI outlets as well, if there are any in the bathroom. If there are none visible in the bathroom, make sure to look at the main circuit panel to see that the bathroom outlets are on a Ground Fault circuit breaker. Lastly, check all of the smoke and Carbon Monoxide detectors and make sure you test their alarms. Once you’ve completed your walk through inspection go over your list of issues with your general contractor. After the contractor has resolved all of the issues, go back and do another walk through inspection to see that he has indeed made the fixes to your satisfaction. To conclude, it is vital that you do a thorough walk through inspection a few days before the closing. This will allow the contractor time to resolve any issues you uncover so that the closing does not have to be delayed. Also, even though the contractor may provide a warrantee on his work, you will have much more leverage getting him to complete the work to your satisfaction prior to giving him his final payment than afterwards.